Slimy and squishy, they might not be to everyone’s taste. 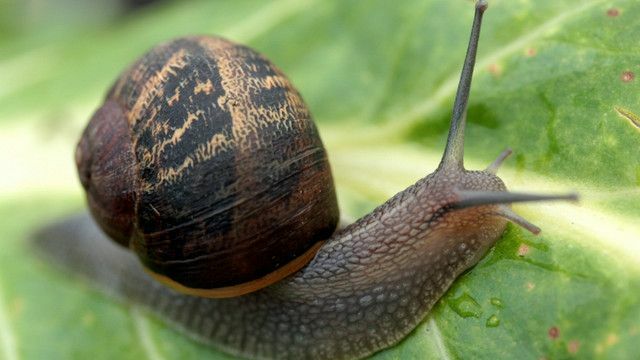 But snails are growing in popularity as a delicacy, according to British snail farmer Helen Howard. She started breeding them in her spare room seven years ago, and feeds them a special meal of cereals, powdered chalk and dried milk. Global travel has made people more adventurous in what they eat, says Helen. Though it might be some time before these slow creatures become fast food. Nhớt nhớt và mềm nhèo, chúng không phải là thứ ai cũng thích. Nhưng ốc sên lại đang trở thành một món ăn được ưa chuộng, theo bà Helen Howard, một người Anh chuyên nuôi ốc sên cho biết. Bà bắt đầu nuôi chúng trong một căn phòng bỏ không cách đây 7 năm và nuôi chúng bằng ngũ cốc trộn phấn bột và sữa bột. Việc du lịch qua các nước đã khiến người ta trở nên mạo hiểm hơn khi thử các món ăn, bà Helen nói. Tuy nhiên chắc sẽ phải mất một thời gian nữa trước khi những con vật chậm chạp này có thể trở thành đồ ăn nhanh. Use one of the words or phrases below to complete each of these sentences from news reports. 1. A 90-year-old grandmother from Alabama showed it is never too late to be __________ by celebrating her birthday with a skydive. 2. Dr Chalker-Scott says that research she carried out in Seattle with newly transplanted trees showed that wood chip mulching was just as effective as adding __________ materials and gels to the soil. And it was significantly cheaper. 3. "This leads us to believe that our animal was probably eating soft, __________ things like calamari. It was probably eating squid or its relatives that were swimming in the ocean at the time." 4. It may not be as famous as an oyster, but across Asia, and especially in China, the humble abalone is a popular __________ - with a hefty price tag to match. 5. Now he is not only __________ and training ponies for profit, he is also winning trophies. 1. A 90-year-old grandmother from Alabama showed it is never too late to be adventurous by celebrating her birthday with a skydive. 2. Dr Chalker-Scott says that research she carried out in Seattle with newly transplanted trees showed that wood chip mulching was just as effective as adding powdered materials and gels to the soil. And it was significantly cheaper. Source: Can 'powdered rain' make drought a thing of the past? 3. "This leads us to believe that our animal was probably eating soft, squishy things like calamari. It was probably eating squid or its relatives that were swimming in the ocean at the time." 4. It may not be as famous as an oyster, but across Asia, and especially in China, the humble abalone is a popular delicacy - with a hefty price tag to match. 5. Now he is not only breeding and training ponies for profit, he is also winning trophies.